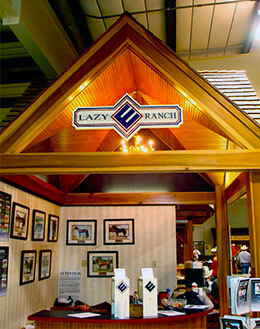 Online videos of the Lazy E Ranch Heritage Place consignments are now available. GUTHRIE, OK—SEPTEMBER 7, 2018—Videos are now available of the Lazy E Ranch Heritage Place Yearling Consignments. Interested horsemen and women can CLICK HERE to watch the videos clips. Photos and catalog pages are also available online for the Lazy E Ranch 2018 consignment to the Heritage Place Yearling Sale. This list of yearlings, by the industry’s top stallions and out of preeminent broodmare families, is featured at the ranch’s website at lazyeranch.net. The 2018 Heritage Place Yearling Sale will be held September 20-22, 2018 at the Heritage Place Sale pavilion 2829 S MacArthur Blvd. in Oklahoma City. To view a complete list of Lazy E Ranch 2018 Heritage Place Yearling Sale consignments CLICK HERE.